Hundreds of thousands of people make a living from the WordPress platform. This includes writers, affiliate marketers, localized website designers, theme developers, plugin developers, and more. There are a number of ways that theme and plugin developers can make a living. One is to develop custom solutions for website owners, on a contract, part-time, or full-time basis. When developers release their themes and plugins to the public, they generally use one of three business models: Free, Freemium, or Premium. In today’s article, I would like to explore these business models and speak about the pros and cons of each one. If you had to list all of the WordPress plugins that are available online, you would see that the vast majority can be downloaded free of charge. A quick check at WordPress.org shows that there are currently 31,536 plugins available in the official plugin repositary; while the leading premium plugin marketplace CodeCanyon hosts 2,649 plugins. If these were the only locations to download plugins, free plugins would represent just over 92% of all plugins available online. There are a number of reasons why a developer would release a WordPress theme, or a WordPress plugin, free of charge. WordPress.org is full of plugins that help modify or extend WordPress in a small way. These are frequently developed by a website owner to address a small problem they had with their own website. And after creating a solution that resolved the issue, they have realised that other WordPress users will find the plugin useful and uploaded it to WordPress.org. Many basic themes and plugins are also uploaded by developers who are learning their craft. By sharing their “experiments” with others, they can get feedback from a large number of people. But why do developers release complex themes and plugins to the masses free of charge? When someone spends weeks, or even months, developing a product, they do not release it free of charge on a whim. They will have undoubtedly reviewed all available options and have decided that releasing the product free of charge suits their agenda. And the number one reason to release an advanced theme or plugin free or charge is exposure. By placing a link or banner back to their website in the plugin settings area, and in the description area on WordPress.org, they can expose their company to tens of thousands of WordPress users. Possibly even hundreds of thousands or millions of WordPress users. This could bring them in a consistent stream of targeted traffic for many years to come. Optin Forms is a great WordPress plugin that uses the free business model. The developer, Boris Beo, promotes his company website Codeleon though the plugin settings area. He also advertises his company’s Twitter, Facebook, and Google+ accounts. 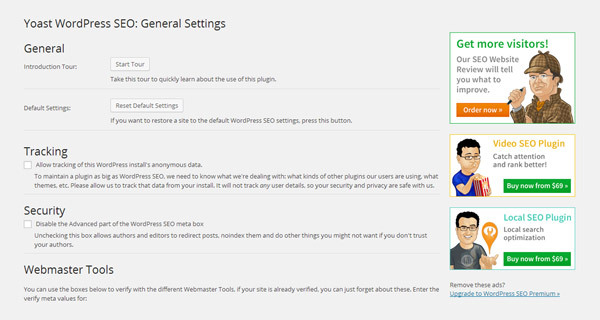 Many plugin developers promote their company via the plugin settings page. AVH First Defense Against Spam is a popular plugin that continues to ask users for donations. Many plugin and theme developers ask for donations to support their work. From a user point of view, free themes and plugins remain the most popular amongst WordPress users. They are free to try and free to use indefinitely. As any experienced website owner will tell you, FREE sometimes comes at a cost. There is no guarantee of support from the developers of free plugins (although many do offer great support). It can be costly to integrate the functionality of a free plugin into your website if there is no support or bug updates. Would you want to launch your new membership website using a plugin that is not supported? Probably not. Bear this in mind when choosing plugins that are vital to your website’s success. Over the last few years, a large percentage of the developers of feature rich WordPress products have moved to a freemium business model. In this business model, the developer continues to offer their theme or plugin free of charge; however some aspect of the product is limited. The user is then encouraged to upgrade to unlock all of the features the plugin or theme can offer. The freemium model has proved to be popular with developers. It gives them the same exposure they would receive by releasing their product free. Yet it allows them to support themselves financially by earning money from users to do need additional support and features. Joost de Valk has built up his company using a freemium business model. From a user’s perspective, the freemium model removes the risk that is involved with buying a premium theme or plugin. You can test the product out free of charge and see for yourself whether it is worth upgrading. The level in which a plugin or theme is limited varies greatly. Some products are so close to the full version, that there is little need to upgrade. Unfortunately, many developers have limited the free version of their product so much, that it becomes unusable. The free version of Restrict Content falls into this category. The free version cannot practically be used on a live website; whereas the pro version is one of the best membership related plugins available on the WordPress platform. It is pointless releasing a lite version of a plugin if it does not effectively promote the premium version. Clearly, it is important for developers to get the balance right if they adopt the freemium model. The product has to have sufficient features so that users use the plugin on their website; however there has to be an incentive to upgrade. The premium business model is straightforward. The developer creates a product and then charges anyone who wants to download and use it. Support and updates may be restricted to one year, or provided indefinitely. In theory, the money a company earns by charging for their products helps support themselves financially. This should help them devote more time and resources into supporting and improving their product. Some developers allow you to use their product on as many websites as possible and will provide you with support with any website you own. Others, such as Gravity Forms, will only support you with a defined number of websites. If you need support for more websites, you need to upgrade. For example, their personal license retails at $39 per year and provides support for one website, while their business license retails at $99 per year and provides support up to three websites. Companies restrict support to customers as, in order to adhere to the GNU General Public License that WordPress uses, they cannot restrict the usage of their products. They can, however, restrict support. I fully support developers who charge more for support for additional websites, as providing support is extremely time consuming. If a company is overwhelmed with support queries, they have no time to address bugs or develop the product further. Therefore, it is fair to charge those who need support for more websites. The premium business model allows developers to scale their business efficiently. Income received from customers can go towards hiring more staff so that they can continue to support customers and offer them a good product and a good service. 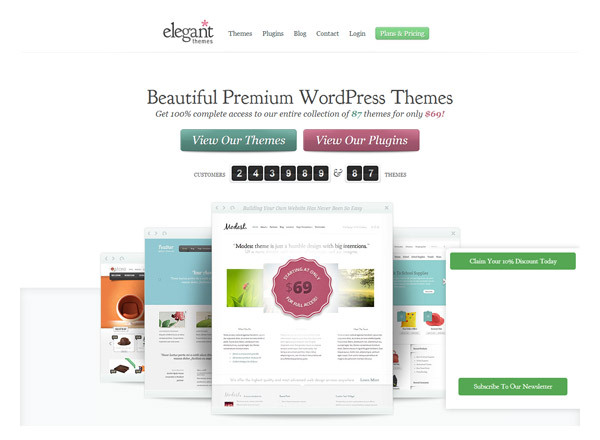 Premium theme stores, such as Elegant Themes, offer a high level of support and documentation that you will not receive with free themes. Unfortunately, purchasing a premium product is no guarantee that it will be bug free, or that you will receive good support. This is particularly true in a marketplaces such as ThemeForest and CodeCanyon. If a company releases a product and it is successful, they will continue to update it and provide great support. If the product does not get many sales, they have less incentive to update the product and provide good support. In my experience, the level of support you will receive from premium theme stores is normally better than what you would receive in marketplaces. I stress the word normally, as it comes down to the quality of the company that is selling the product. Premium products on marketplaces can be removed by the developer at any time. I have purchased many themes and plugins from marketplaces and the developers have simply removed their product from the marketplace as it has not been selling well. When free WordPress themes and plugins are no longer developed, others can fork the project and continue developing it. That is unfortunately not possible with premium plugins if the plugin is removed. You can reduce the risk of a plugin being removed from a marketplace by only purchasing themes and plugins that have a lot of sales and a good level of support. 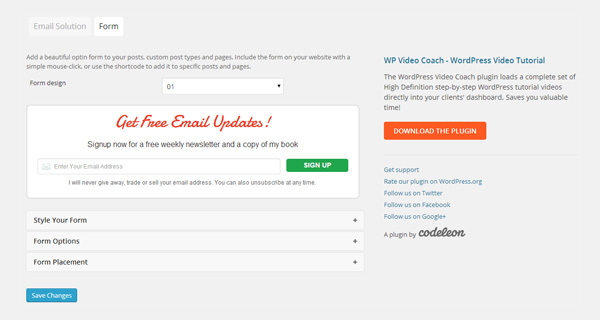 In general, I have been very happy with the premium purchases of WordPress products I have made. And I have no hesitation in spending money on a good theme or plugin if it offers the functionality I need. Which Business Model is Best? When it comes to WordPress themes, I tend to choose premium WordPress themes as they usually offer more functionality. With plugins, I use free, freemium, and premium solutions. The frequency of updates and level of support I receive from developers does not always correlate to what I spent on the plugin. Though my main concern is selecting the plugin that is best suited to the task at hand. Your view on the pricing of themes and plugins will be influenced by your own budget and how important good support is to you and/or your company. Ultimately, it is up to the developer to decide which model is best for them. If they want to release a product to the WordPress community, but do not have the time to give support; they will probably release it free of charge. Those that want to build a business around their product will probably choose a freemium or premium business model. Some types of plugins work well under a freemium model, others do not. A lot depends on how much the developer limits the free version of the plugin. If a product is too limited, few people will use it and even less will upgrade. If it is not limited, there is less incentive for users to upgrade. I am personally a fan of the extension model in which the main plugin or theme has lots of great features; but the product’s functionality can be extended by purchasing extensions (add ons). I hope you have enjoyed this look at WordPress business models. If so, please subscribe to the Elegant Themes blog in order to get updates of our latest articles. Opt-in forms is just what I’ve been looking for for the past few days. With a name that obvious, I am astounded I did not find it sooner. I think the Freemium business model is genius. Personally, I am much more likely to buy a plugin after being able to demo it. To me it shows that the developer is confident in it, and more importantly that I can test it and make sure it suits my purpose. Also, If the restricted demo is good that usually makes me want the other features even more than I did before trying it out. I also agree with tiered pricing for multiple site licences because more websites, means more time spent on support as you said. Thanks for another great article. For those of you that don’t know about Kevin’s website Rise Forums http://www.riseforums.com/ it is a place where you can find lots of helpful people and share your knowledge with others as well. Lately I have been finding lots of good info and advice there. Glad you like Optin Forms Adam! My favourite premium plugin is Gravity Forms. I only wished you guys and other developers incorporated the relevant CSS into themes so we could just drop a GF in and not worry about the styling going goofy. I am so done with overly complex/costly forms. When the Divi contact form module doesn’t cut it (and how I wish it had “add a button/box/text” feature), I am trying out different form websites, with a snippet to include on the page/post. Yoast plugin is a first and foremost plugin that one should install. Optin is a good option. Do not bother using free plugins. And already made ​​donations to developers. We have to support because we depend on it. The one main problem with the currently 31,536 FREE plugins available is how many of them have been updated in like the past six months?? I got lucky once using a non updated plugin, not sure that will happen that much though. Great article – I have purchased both premium themes and plug-ins and have almost never had an issue. The more you know the better off you are. If they now longer offer support tear out what doesn’t work and then build it back up. Make it your own. I have a question. How do you track unauthorized use of a premium theme or plugin. For example if one creates a premium plugin and someone uploads it to a site for free download . Good to see posts on business models instead of coding. Sure coding and other technical skills are important but so is putting those skills to use in a way that is financially viable. I think that the Elegant Themes business model is hard to beat. Pretty cheap subscription but that subscription is ongoing. Ongoing subscriptions allow products to be developed and developers to make a living from their efforts. As usual, great article. Thanks! I use both premium & free themes and plugins. Rarely use support – can usually find answers via Google. 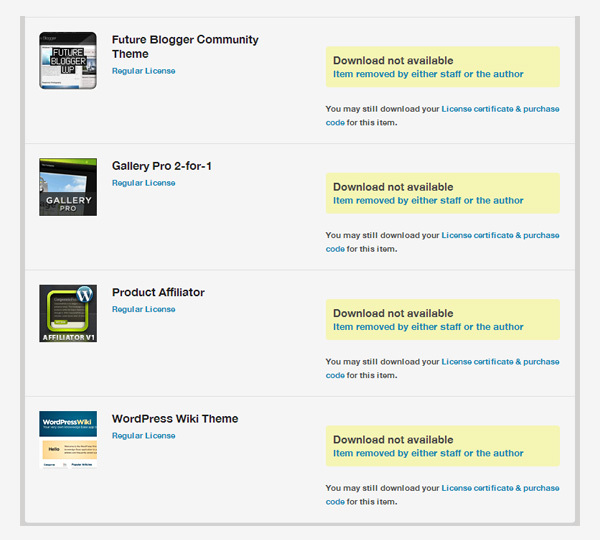 I’m not a big fan of single site license – especially for plugins. Multi-site licenses are normally very expensive. I don’t mind buying a plugin with limited support if I can use it on other sites I develop. I’ve purchased premium themes and get no support. So no guarantee in that dept.. That’s why I’m sticking to Elegant Themes & Ultimatum Themes. Great support, great blogs (like this one), great themes, flexible layouts. There are many bussiness model wordpress you can try, but free is not bad.You also can make it yourself for bussiness. Great to see an article more on the business side of WordPress. Kevin, I see there is some missing text or layout problem in the article. I think the freemium model is a good catch and I’m loving meta slider for it. Another great article Kevin. I’m really enjoying your stuff. Having invested in many premium themes and plugins as well as using many really good free ones, I have to say that if you do your research and read reviews before your purchase, you are more likely end up with a quality product. Buyer Diligence also works when looking at the free products. There are some really amazing free plugins out there that beat the socks off some premium products. For example, I personally detest the annual renewal fee system that some plugin companies charge. For example Contact Forms 7 is my choice over GF any day. CF7 is a mature product with decent support and a very large user base who essentially share their solutions to any challenges that have come up against when they’ve used the product. A quick search with your favorite search engine usually finds an existing solution to the problem you may be facing. I guess the best example of the successful “Free Model” is WordPress itself. It’s still completely free, yet the company behind it is now worth 1 billion dollars! What does that say? Another great article Kevin and thank you for mentioning Optin Forms. As you’ve correctly stated, the biggest advantage of releasing a free product is the exposure you receive. In my case, releasing a free plugin and offering free support has had an amazing effect. My email lists are growing like never before and I’ve received a ton of feedback which helps me decide what products to release in the future. Last but not least, I’ve been able to expand my network of online contacts in the WordPress community. The intention of this article is good, but it doesn’t actually discuss what I would call “business models”. I don’t mean to be picky, but these are pricing models, not business models. A pricing model is a way of setting a price for a particular product or service (in this case, themes and plugins). A business model is a way of arranging an entire business to provide value for the product/service providers and the users. The importance of the distinction is this: a pricing model (as you have here) is only good for setting the price of a single product or service, or a bundle of products or services. However, a business model can guide a developer in how to make a living from a combination of products and services. So, a business model can incorporate multiple pricing models at the same time. For example, a developer could sell premium themes, a few free plugins, lots of freemium plugins, each with a corresponding premium plugin. That’s a business model, which can provide more holistic guidance in earning a living. Great article. I really enjoyed the detail you went into with regards to the various pricing models for Themes and Plugins. The Freemium vs. Premium is a proven Marketing (Pricing) point that has shown some good success within the WirdPress community. As a plugin dev we are doing the same here. I also have to kind of agree with Ochado’s comment about Pricing vs. Business….. yeah it’s kind of nit picking….but your article holds it’s own with excellent research on the content. I disagree with the remarks that this article is not talking about business models. All three of these – free, freemium, and premium – are business models, not pricing structures. As a matter of fact, Kevin doesn’t talk at all about pricing other than if you should offer free with donations ( or charge for support) or paid.